Performance analysis has become an essential tool for coaches, athletes, sports organisations and academic researchers. Collecting and interpreting performance data enables coaches to improve their training programmes, athletes to make better tactical decisions, sports organisations to manage teams more effectively, and researchers to develop a better understanding of sports performance. This book is an essential introduction to the fundamental principles of performance analysis of sport and how to develop and operate performance analysis systems. Containing worked examples from real sporting events throughout, the book introduces the basics of quantitative and qualitative performance analysis, reviews the different types of data and information that performance analysis can generate, and explains how to test for reliability. It presents a step-by-step guide to developing both manual and computerised analysis systems, and writing up and presenting findings from performance analysis programmes. Representing the most up-to-date, concise and engaging introduction to sports performance analysis, this book is an ideal course text for all introductory performance analysis courses, as well as an invaluable primer for coaches and practitioners in sport. 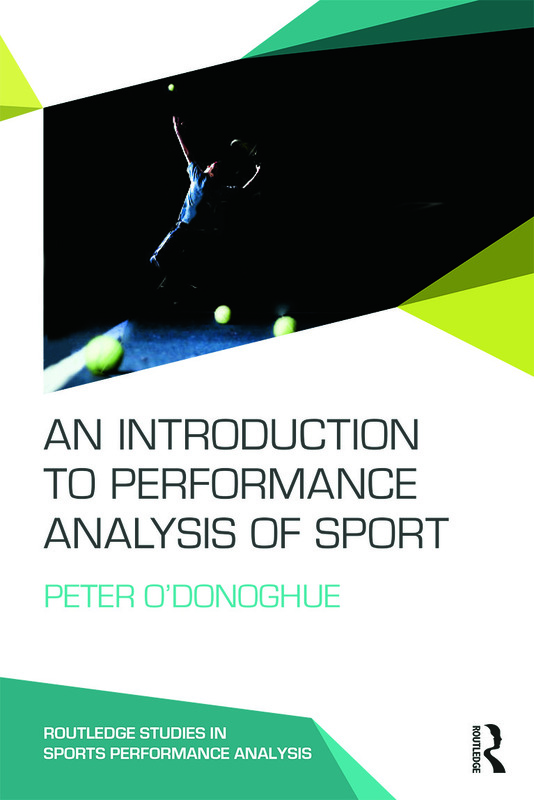 Peter O’Donoghue is Reader and Discipline Director for Performance Analysis in the Cardiff School of Sport, Cardiff Metropolitan University, UK. He is a member of the International Society of Performance Analysis of Sport, editor of the International Journal of Performance Analysis of Sport, and editor of the book series Routledge Studies in Sports Performance Analysis. He has extensive experience of providing performance analysis support in elite sport, and his research interests include relative age distribution in sport, predictive modelling of sports performance, and strategy in elite racket sport competition. Routledge Studies in Sports Performance Analysis is designed to support students, lecturers and practitioners in all areas of this important and rapidly developing discipline. Books in the series are written by leading international experts in sports performance analysis and cover topics including match analysis, analysis of individual sports and team sports, technique analysis, data analytics, performance analysis for high performance management, and various methodological areas. Drawing on the very latest research, and introducing key concepts and best practice, the series meets a need for accessible, up-to-date texts at all levels of study and work in performance analysis.